Boeing C-47 Chinook part 2. 1. 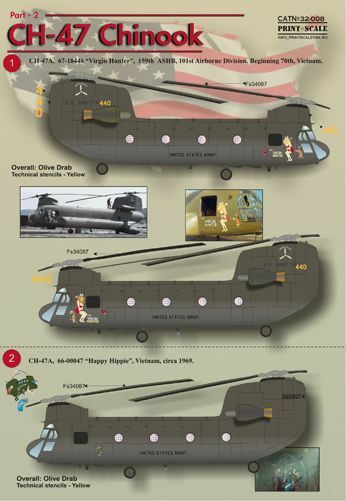 CH-47A, 67-18440 "Virgin Hunter", 159th ASHB, 101st Airborne Division. Beginning 70th, Vietnam. 2. CH-47A, 66-00047 "Happy Hippie", Vietnam, circa 1969. 3. CH-47A, "Wild Thang"of the 178th MHC, American Division, at Chu Lai, during July of 1970.